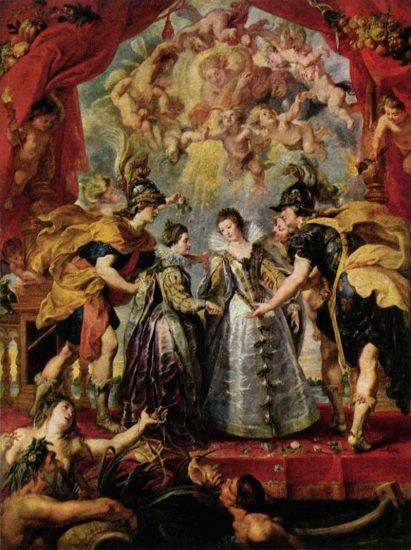 Elisabeth of France was born on 22 November 1602 at the Château de Fontainebleau as the daughter of King Henry IV of France and his second spouse Marie de’ Medici. She was known as by the honorific Madame Royale as the eldest daughter. She spent her youth at the Château de Saint-Germain-en-Laye under the watchful eye of Françoise de Montglat. The nursery became filled with her legitimate siblings but also various half-siblings from her father’s many affairs. She was betrothed to Philip Emmanuel, Prince of Piedmont shortly after birth but he died in 1605. She was just eight years old when her father was assassinated outside the Louvre, and her brother became King Louis XIII of France under the regency of their mother. Two years later, negotiations were begun for a double alliance between France and Spain. Her brother would marry Anne of Austria, while Elisabeth would marry the Prince of Asturias, later King Philip IV of Spain. 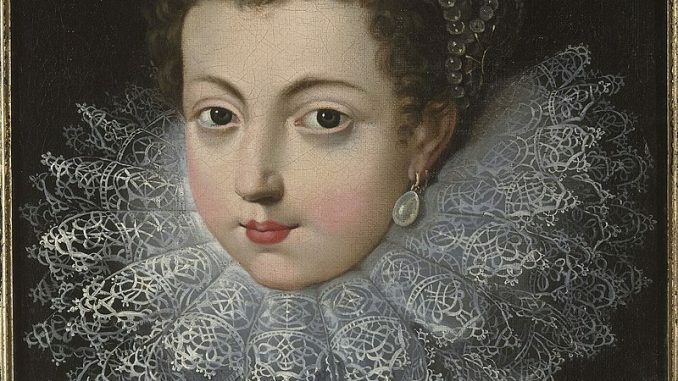 On 31 March 1621, Elisabeth became Queen consort of Spain and Portugal upon the death of her father-in-law, and she was pregnant for the first time. She gave birth to a daughter named Maria Margaret on 14 August 1621, but the baby died a day later. This was followed by two more shortlived daughters, a miscarried daughter and yet another shortlived daughter. On 17 October 1629, she gave birth to a son named Balthasar Charles, who would die at the age of 16. Another stillborn or shortlived son was born in 1634, followed by a daughter who lived for only a month. Her only child to survive to adulthood was Maria Theresa who was born on 10 September 1638 and ended up marrying King Louis XIV of France. In 1640, she again miscarried a daughter and the last miscarriage or stillbirth in 1644 would prove fatal to the Queen. Her body had been weakened from the many pregnancies. 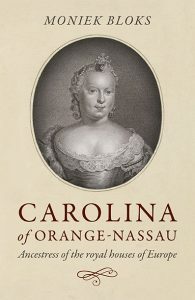 Elisabeth was popular with the Spanish people and was renowned for her beauty and intelligence. After her death, her husband remarried to his niece, Mariana of Austria. Eventually, the Spanish throne passed through her daughter to one of her great-grandsons, who became King Philip V of Spain.